Once a pitcher reaches his daily maximum limit, he must be removed from the game. If a pitcher reaches the maximum limit of pitches in a game during a batter’s plate appearance, the pitcher may continue in the game until such plate appearance or the inning ends (i.e. by a third out made by catching a runner stealing), whichever comes first. There is no team penalty for this, but the pitcher must adhere to prescribed pitch counts for the remainder of the event. If a pitcher is brought into a game sooner than the mandatory calendar days’ rest, he becomes an ineligible player. According to NFHS Rule 3.1.1: An ineligible player on defense shall be replaced immediately upon discovery by the umpire or either team. 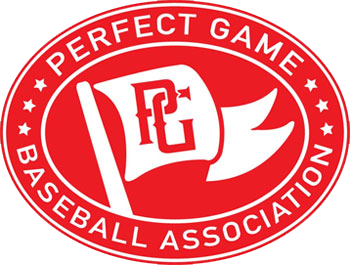 Once discovered by teams, umpires, or PG Staff, the umpire & Official Scorekeeper will confirm eligibility with Tournament Headquarters. If deemed ineligible, team will have the opportunity to remove player from game. The replacement pitcher will be allowed adequate time to warm up. A pitcher is only allowed to pitch in one game per day unless pitcher throws 20 or fewer pitches in first game. In that case, pitcher may pitch in 2nd game of day. Pitch totals for both games combined will require prescribed daily limits and required rest. No Pitcher is allowed to pitch 3 games in one day. No pitcher is allowed to pitch 3 days in a row regardless of pitch counts. You must be one of the coaches for a team in the event or a DiamondKast subscriber to view the report.